"Keep it simple" is probably the best cooking advice to remember this time of year. Fresh peas, tart cherries, tender spring greens, even sweet strawberries don't need much to dress them up. But what kind of food blogger would tell you that the best way you could enjoy those tiny, tender, sweet, spring strawberries is with a little whip cream or a drizzle of red wine? A boring one, thats what kind. 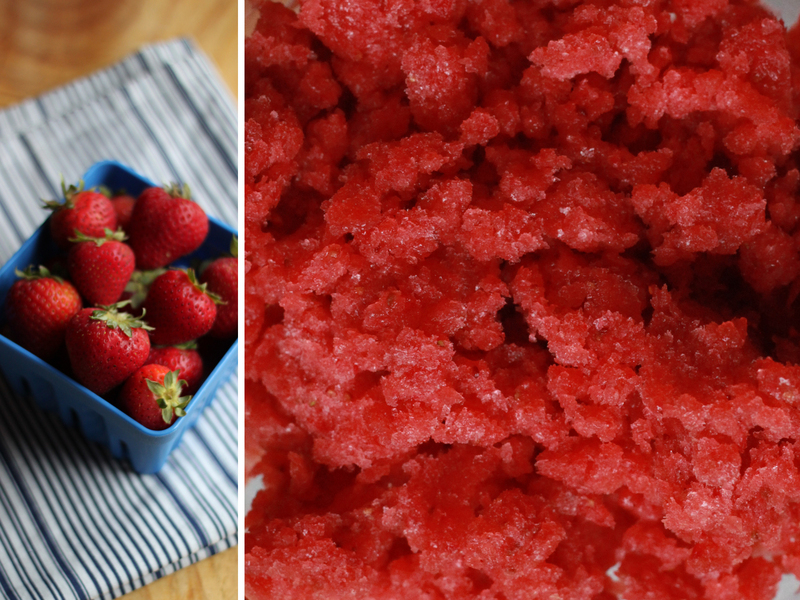 So, here's an incredibly simple way to both enjoy and easily preserve your spring strawberry haul - make granita. Puree the berries with a little sugar, a little vanilla, and some salt and freeze - it really that easy and its hardly boring. This granita is incredibly delicious on its own. Top it with a little sweetened whip cream to serve as dessert for dinner guest. My favorite way to serve it: put a little in your champagne flute and top with bubbly - brunch minds will be blown. Simple can be stunning. I haven't tried it but I suspect you could also freeze this puree in popsicle molds. 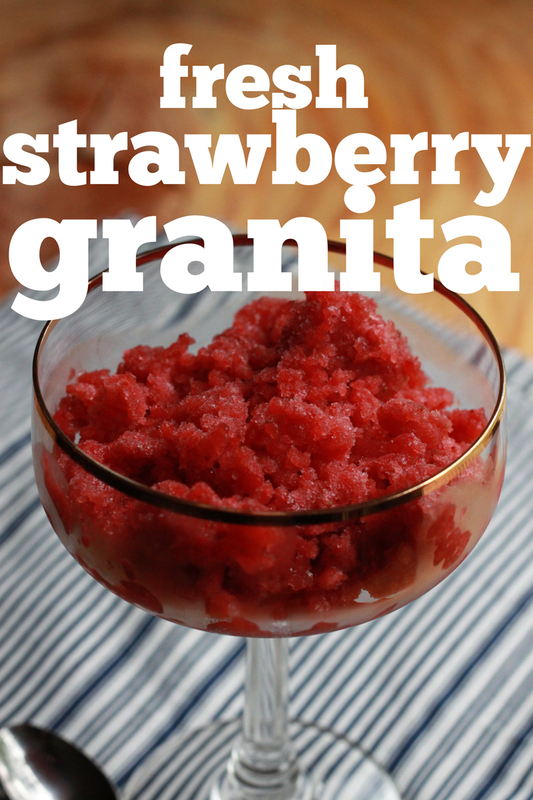 Puree the strawberries, sugar, liquor, vanilla, and salt in a blender or food processor until smooth. Pour into a wide shallow pan, such as a 13 x 9 baking pan or quarter sheet pan, and place in the freezer. 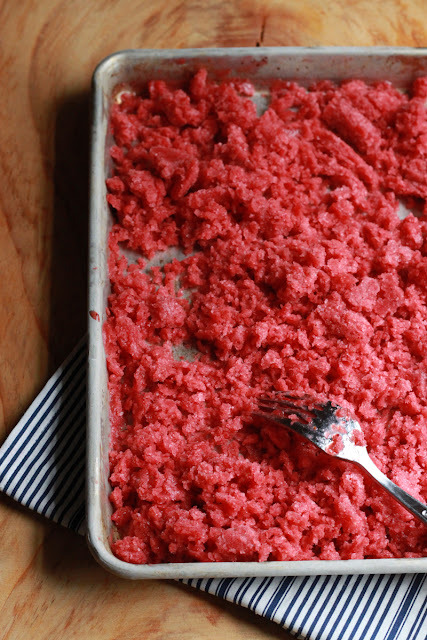 Freeze until the edges start to harden, about 30 minutes, then scrape the frozen parts towards the middle using a fork. Continue freezing and scraping in 30 minute intervals until frozen completely, about 2 hours. Scrape into an airtight container and freeze until ready to serve.